An air conditioner (AC) is not luxury but a necessity. The AC keeps your home cool, filters the air, and dehumidifies the environment. However, the unit needs regular repair and maintenance t work efficiently and effectively. This explains why you have to take immediate action when your AC becomes blowing warm air. But first, you must understand these 5 reasons why your air conditioner is blowing warm air. If you have a visible thermostat, try changing the batteries and check it again. Ensure that there’re no loose wires and baseplate connections are securely attached to the wall. Manufacturers add a wiring diagram to give users a head start. Some thermostats have an inbuilt time delay to prevent the compressor from short cycling. If you recently adjusted the thermostat, give it 5 minutes before checking the unit again. You can’t get cool air with the outdoor unit not running. The AC unit has various components including a compressor and condenser fan motor. It’s a sign of a dead unit when you hear a humming sound. Perhaps power isn’t going into the unit because the capacitor is dead. Call a technician immediately to come and fix the issue. Technicians have special meters for reading capacitance and do necessary replacements. This might cause the compressor to go off because of thermal overload. This is caused by poor maintenance. 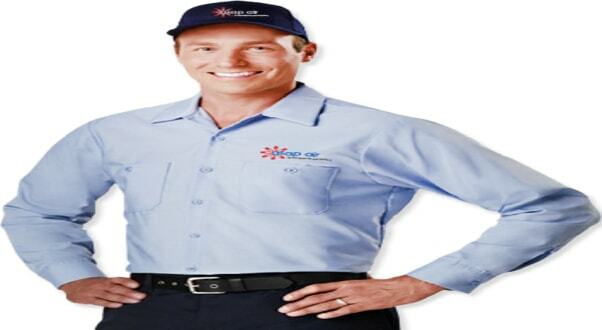 It’s a wonderful idea to schedule AC repair Houston to service your unit at least one or twice annually. During the maintenance process, have the condenser coils washed on the air conditioner outdoor unit. Call the technician immediately to lessen chances of issues escalating and becoming costlier. Do you have dogs? Keep in mind that they enjoy chewing things. So, you can’t rule out the low voltage control wires getting chewed on by your pets. Detecting this is through looking out for wires with bare copper showing or those with insulation peeled off. Perhaps you suffered a short circuit. Call a professional technician for an assessment before having the issue solved. This can happen on the line set that runs to the external unit or around the compressor. When it happens, it might be a sign of low Freon. This might be caused by a leak in your system or a very dirty filter. A professional AC technician will assess the system to determine the cause of the problem. Perhaps you’ve taken long without changing the filter. Older homes usually suffer from leaking evaporator coils leading to icing. This restricts airflow from the vents. It’s a great idea to invest in a quality air conditioner for your home. it’s equally important to ensure it’s always in good working condition. Ideas above explain why your unit might be blowing warm air. It’s wrong to believe that the issue will just disappear without fixing by a professional. You risk huge repair or replacement bill. The solution is to call a technician after noticing the issue to fix the issues immediately.